The weight can break them and cause a flood. Even if you think it’s something small and light, there’s no guarantee that the pipe can withstand it. You also introduce the risk of the item snagging on a passerby and rupturing the pipe. 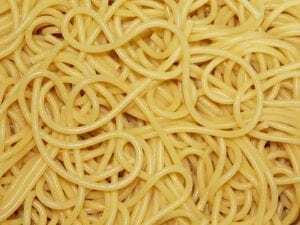 It might seem easy to let hair and food disappear down the drain but at some point, the accumulated effect will cause it to back up your drainage system. Check drains regularly and remove any items that may have slipped past your strainers. Even items labelled “flushable” like flushable baby wipes can cause a problem. Your best option is to stick to waste and toilet paper. Everything else should be discarded in the garbage. If you’re not sure what material your drain and sewage pipes are made from, have a professional take a look. Harsh cleaners can destroy piping, sometimes so slowly you don’t even know it’s happening until it’s too late. Avoid burst pipes by draining outdoor pipes that can freeze when the temperature falls. These taps have a drain valve that you open to empty the water inside the pipe. Ensure you do it before the cold weather sets in and not after the first freezing night. It’s easy to procrastinate when you see the first few drips, but a small leak is much easier (and cheaper) to fix than a flooded house. Not to mention the money you’ll save on your water bill. Knowing this is not only beneficial for the plumber when he arrives, but can reduce damage if you turn off the main supply as soon as a major leak happens. Take the time to show everyone where it is to reduce the potential for a huge, costly disaster. If you need help to keep your plumbing in working order, we can work with you to prevent any issues from happening. Give us a call at (877) 552-2326 or Schedule A Service with one of our plumbers! Sizing a water heater isn’t always an easy calculation. There are many factors involved and, depending on your needs, you might have several options available to you. But getting it wrong has consequences. Too small and you’ll have to settle for cold showers. Too large and you waste energy heating water that isn’t being used. We can help you decide what water heater size is best for you and your home. Continue below to see the things you should consider when selecting your next water heater. Superbowl 51 is going to be one of the biggest sporting events of 2017 and it is coming at us quickly. Right now you’re probably making plans for the big day. If you’re planning on hosting your own party, you probably have your hands full with planning this and that, but don’t forget about your pipes during your Superbowl preparations. There are a few steps you can take to ensure that everything runs smoothly, plumbing wise, during your big Superbowl party. 1. The first and most important step you can take to prevent a Superbowl plumbing disaster is to have a local plumber run a quick maintenance check on your plumbing system. Having your plumbing inspected before the big game is the best way to ensure that everyt hing is working properly and give you some added peace of mind. After all, nothing ruins a Superbowl party like a clogged toilet at half-time. 2. Your toilet will be used heavily during your party and if it tends to give you trouble you might want to switch to thinner toilet paper. 1-ply works best and your guest won’t likely notice or mind the difference for one day. 3. In order to prevent your guests from flushing items like paper towels, “flushable” wipes (which are horrible for your toilet) and other paper products, you should remove all of these items from your bathroom. Additionally, you may want to remove any smaller objects that are around your toilet, to prevent any accidents. 4. Be wary of what goes in your garbage disposal. Let’s face it, what’s a football party without a ton of delicious and greasy foods? The problem is that your garbage disposal can only handle so much. It is extremely importa nt not to overload it with too much food at one time and always avoid pouring grease down your drain. 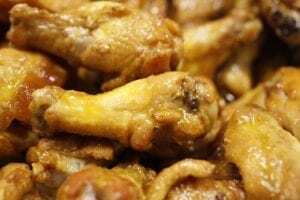 Wings are a popular Superbowl tradition, but you’ll want to avoid putting chicken bones in your disposal. Additionally, do not put any of the following food items down your garbage disposal at any time; potato peels, celery, artichokes, asparagus, lettuce, corn husks, carrots, onion skins, pasta, beans or rice. 5. Better safe than sorry. Keep a plunger next to your toilet just in case. And if you experience a really big clog or some other kind of plumbing disaster during your Superbowl party, don’t panic! We’ll still be open for emergency repairs. Call us at (866) 844-3770 or feel free to check us out online at TrustTiger.com and we’ll get your Superbowl party back on track! Indoor Plumbing, What Would Life Be Like Without it? World Plumbing Day is coming up on March 11th and it is easy for us to take for granted the everyday conveniences and health benefits that come with modern indoor plumbing. Ma ny of us grew up with indoor plumbing and the ability to bathe whenever we desired. Others may remember a time when they had an outhouse instead of an indoor toilet. In fact, there are still a few older buildings in the area that still have an outhouse in place of a toilet. Could you imagine having to run outside, late at night, in the middle of winter, just to relieve yourself? While this idea may seem farfetched to many of us, modern day plumbing conveniences are relatively new in American history. Only about 24% of the homes in America had indoor plumbing by the end of the 19th century. Less than a hundred years ago, most people in America would bathe just once a week. And when people did bathe, it would often be in water that was heated on the stove and several family members would share the same water. It wasn’t until the 1930’s before the majority of people living in urban areas finally had access to indoor plumbing; this includes running water and use of an indoor toilet. Many rural homes did not catch up in the plumbing department, until after World War II. Nowadays, indoor plumbing is a staple in most of our lives. We here in the St. Louis Metro East are lucky enough to have access to clean, safe drinking water and working indoor plumbing. But not everyone is that lucky, according to the World Health Organization there are 2.4 billion people, roughly 32% of the world’s population, do not have access to adequate or acceptable sanitation accommodations and at least 750 million people across the globe do not have access to safe and clean drinking water, some of these people live in the U.S. It is estimated that each year, 3.1 million people die from water-borne diseases, tied to a lack of sanitation facilities. The World Plumbing Council has dedicated March 11th as World Plumbing Day, with the goal of shining a light on the lack of safe and clean water throughout the world. World Plumbing Day is also designed for people to show their appreciation for plumbers, the plumbing industry and the work they do to help keep the world a healthier place to live. For more information about World Plumbing Day and how you can help visit www.worldplumbingday.org. Hey, no one is perfect and mistakes can get costly. This is especially true when it comes to plumbing mistakes. But the good news is that you can learn from others mistakes and avoid needing to call a plumber. 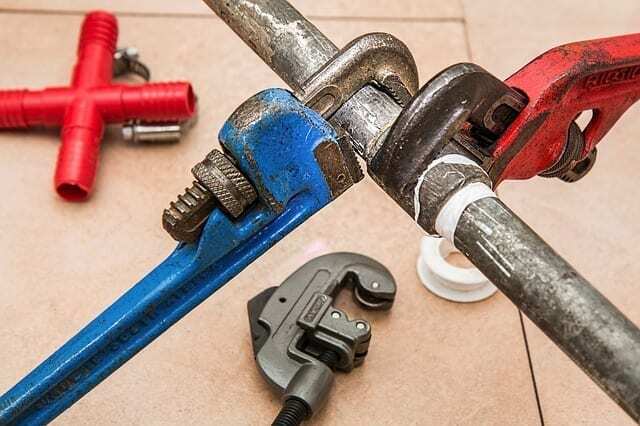 Check out the most common plumbing mistakes and learn how you can avoid them. Mistake Number One: Treating Your Toilet Like a Trash Can. Bottom line, if it’s not toilet paper, you shouldn’t try to flush it. This goes double for the so-called “flushable” wipes (which are horrible for your plumbing system). Mistake Number Two: Misusing the Garbage Disposal. When using the garbage disposal it is important not to overload it with too much food at one time. And most importantly, do not, I repeat do not put any of the following items down your disposal. Potato peels, celery, artichokes, asparagus, lettuce, corn husks, carrots or onion skins. These items tend to wrap around the disposal blades. Pasta, beans, potatoes or rice. These foods absorb water and turn into a paste like substance in your drain, which can cause a clog. Chicken or turkey bones, large seed pits, fatty or greasy foods, coffee grounds or seeds. Mistake Number Three: Ignoring Tiny Leaks. 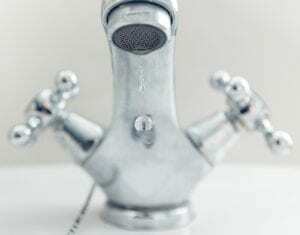 Okay, this is one issue that will likely require a plumber in order to avoid a major plumbing mistake You definitely want to have a professional plumber repair leaky faucets promptly. Even a small leak wastes gallons of water in a short period of time. Plus, that leak will continue to grow larger and more expensive to fix the longer you ignore it. Mistake Number Four: Weighing Down Your Plumbing Fixtures. Plumbing fixtures are only designed to support so much weight at one time. Using your bathtub spout as a handle to pull yourself out of the tub or overloading a shower caddy can cause serious damage to the fixture. You’ll also risking your own safety! Mistake Number Five: Being to Forceful When Turning a Faucet On and Off . Being overly aggressive when using a faucet can cause some serious damage to the fixture. Additionally, pressing down really hard on a leaky faucet will not stop the water from dripping and will make the issue much worse. Mistake Number Six: Failing to Properly Maintain Your Water Heater. Your water heater requires yearly maintenance to ensure it’s functioning properly. Waking up on a cold morning without hot water for a shower is not anyone’s idea of a fun way to start the day. You can help avoid this by ensuring your water heater is well maintained.